eng With an Introduction and Notes by David Rampton, Department of English, University of Ottowa. 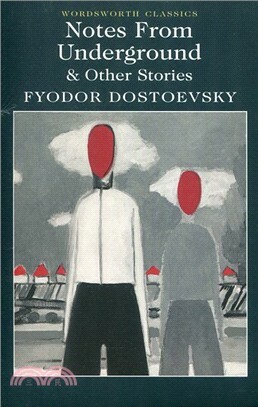 Notes from Underground and Other Stories is a comprehensive collection of Dostoevsky's short fiction. Many of these stories, like his great novels, reveal his special sympathy for the solitary and dispossessed, explore the same complex psychological issues and subtly combine rich characterization and philosophical meditations on the (often) dark areas of the human psyche, all conveyed in an idiosyncratic blend of deadly seriousness and wild humour. In Notes from Underground, the Underground Man casually dismantles utilitarianism and celebrates in its stead a perverse but vibrant masochism. A Christmas Tree and a Wedding recounts the successful pursuit of a young girl by a lecherous old man. In Bobok, one Ivan Ivanovitch listens in on corpses gossiping in a cemetery and ends up deploring their depravity. In A Gentle Spirit, the narrator describes his dawning recognition that he is responsible for his wife's suicide. In short, as a commentator on spiritual stagnation, Dostoevsky has no equal.